Nick Harkaway is the author of Gnomon, as well as The Gone-Away World, Angelmaker (for which he won the Oxfam Emerging Writers Prize and the Kitschies’ coveted Red Tentacle) and Tigerman. He has been described variously as 'J. G. Ballard’s geeky younger brother', 'William Makepeace Thackerary on acid' and 'a British mimetic speculative godgame novelist'. The Blind Giant, his only full length non-fiction work, examined the interaction of technology and humanity and how best to live in a world where gadgets have become fundamental. Salena Godden is a poet and author of literary memoir Springfield Road (Unbound) and poetry books Fishing In The Aftermath Poems 1994-2014 (Burning Eye) and Under The Pier (Nasty Little Press). Salena Godden was shortlisted for this years Ted Hughes Award for new work in poetry with her spoken word album LIVEwire released with independent spoken word label Nymphs and Thugs. She has been shortlisted for 'Best Spoken Word Performer’ in the Saboteur Awards 2017. Nikesh Shukla is the editor of Rife Magazine, an online magazine for young people, and the author of the novels Coconut Unlimited (Quartet), which was shortlisted for the Costa First Novel Award, and Meatspace (Friday Project). He is the editor of the acclaimed collection of essays about race and immigration by 21 writers of colour, The Good Immigrant (Unbound), which was shortlisted for the Liberty Human Rights Arts Award and won the Reader's Choice at the Books Are My Bag Awards. Matt Haig is the author of many books for adults and children. These include the number one bestseller Reasons to Stay Alive, The Humans and his new novel How to Stop Time. His work has been translated into 35 languages. Jill Mansell lives in Bristol and is one of the top twenty British female novelists of the 21st century in terms of sales. Worldwide, her books have sold in excess of ten million copies. In 2015, she received an outstanding achievement award from the Romantic Novelists Association. Sunil Singhvi started his career as a producer for the BBC as they sought to attract young, urban audiences with their digital radio station 1Xtra. From there he moved into content creation and talent management at one of the UK's most prestigious agencies James Grant Group which represented presenters and TV stars as well as authors, athletes and more. In 2012 he became the UK entertainment lead for Twitter helping to run marketing campaigns with major publishers and writers. From 2015 - 2017 he led Twitter's global music strategy before returning home to the UK to lead partnerships for Instagram. And no he won't get you verified. Dan Dalton is a writer and journalist covering books and pop culture. Lisa Edwards is a highly experienced publishing director, having worked across both children’s and adult imprints for over 20 years. Lisa is Publishing Director at Templar Publishing, part of the Bonnier Publishing Group. Previous to this she was Publishing & Commercial Director at Scholastic Children’s Books her portfolio included The Hunger Games, Horrible Histories, Horrible Science, Tom Gates, His Dark Materials, and Julia Donaldson picture books. Mariam is also the host and creator of the #FeminismInYA Twitter chat. 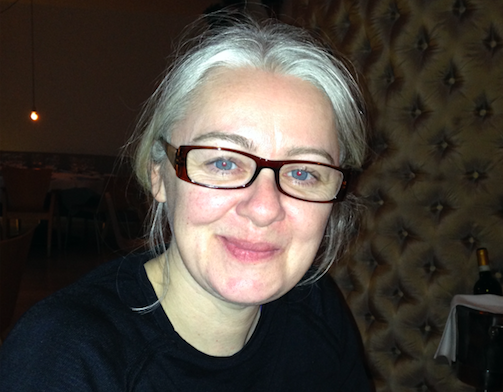 Justine brings over 20 years' expertise in technology and business development to the publishing industry, speaking at conferences, chairing panels and working directly with clients as co-founder of Byte Consultancy. Julia Kingsford is co-founder of Kingsford Campbell, a literary agency and publishing marketing consultancy where she represents a range of authors whilst working with publishers and companies working across the industry on their brand, strategy and how to better reach consumers. Prior to this she was CEO of World Book Night and Marketing Director at Foyles. Benjamin Read has worked in all aspects of the book business - as a bookseller, publisher, and author. Currently, he writes comics, films, and fairytales. After a sordid past in investment banking, Don Linn entered the publishing business as Owner and CEO of Consortium Book Sales & Distribution, a leading distributor of independent presses and after selling Consortium to Perseus Books Group, became publisher at The Taunton Press. Subsequently, he served as Director of Chicago Distribution Center (a unit of University of Chicago Press). He is currently Managing Partner of Linn & Co. where he advises publishing industry participants of all stripes on strategic and tactical matters. He's a graduate of Harvard Business School. James Spackman is Publisher of Pursuit, a new imprint of Profile Books devoted to cycling. Alongside this, he provides consultancy on marketing and strategy as well as workshops on presentation (Pitch Doctor) and copywriting (Copy Lab). James was previously MD of Watkins Publishing (Osprey Group), following sales and marketing roles at Bloomsbury, John Murray and Hodder. Alex 'Reads' Holmes is a reader, writer who hosts literature and pop culture podcast Mostly Lit with two of his friends Derek and Rai. He is into books that aren't quite self-help but are inspirational, and has a love for diaspora fiction - and the odd P G Wodehouse. (Can't fault Jeeves). Lucy Powrie is a book blogger and YouTuber from the south west of England. She is the creator and host of the nationally trending Twitter book chat #ukyachat and balances her book obsession and love for the Brontë sisters with studying for her A Levels. Mel Sherratt is the author of ten crime and psychological thrillers. She has close to one million sales, with a mixture of self-published, traditional and digital published novel and was shortlisted for the Dagger in the Library Award in 2014. All of her books have reached the Kindle UK top ten, with several number ones both here and internationally. Mel lives in Stoke-on-Trent and makes liberal use of her hometown as a backdrop in some of her books. She is a hoarder of killer high heels and has a terrier, Dexter, named after the TV serial killer.